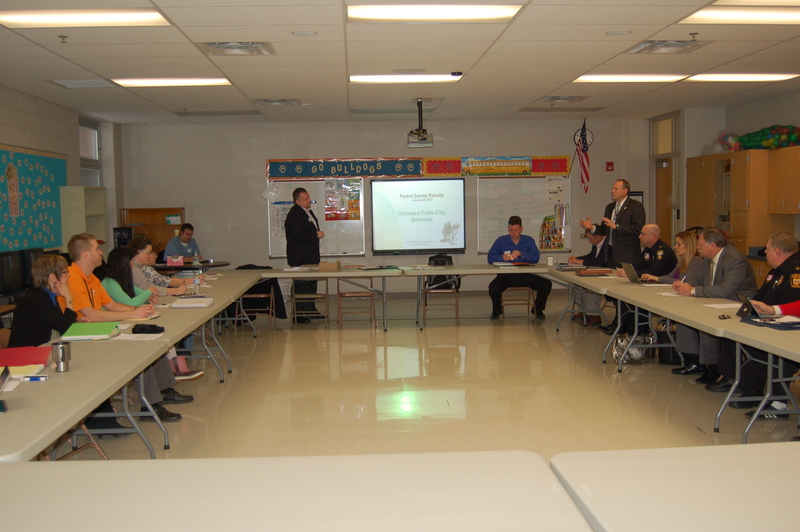 Olmsted Falls School District held its second safety meeting this past Monday to discuss the progress being made in the assessment and updating of all current safety plans throughout the District. The extensive process of reviewing and updating the District’s existing plans is being led by an outside security company, PLE Group. The District Safety Committee includes District administrators, local safety leaders, elected officials and parent representatives. Representatives from PLE Group are also in the District this week, working to personally assess and evaluate safety at each of our school buildings. They’ll be observing traffic patterns, doing internal and external building safety assessments, and observing each building in the daytime as well as at night. The District Safety Committee will meet again to review and discuss all of the data being collected, and next steps. A special thank you is extended to our local safety leaders, elected officials, and parents who are serving on this important committee. Thank you also to our parents and staff who took time to complete the recent on-line surveys. Front row: Board Members Mrs. Rhonda McCrone (16th year of service), and Ms. Michelle Theriot (21st year of service). Back row: Board member Mr. Greg Surtman (2nd year of service), 2013 Board President Mr. Jim Weisbarth (18th year of service), and 2013 Board Vice President Mr. Joe Bertrand (9th year of service). January is School Board Recognition Month in Ohio. Olmsted Falls School District took the opportunity to publicly thank the five members of the Olmsted Falls Board of Education at their regular monthly meeting held this past Monday at the Middle School. Each Board member received a certificate of recognition from the Ohio School Board Association. In addition, a letter to the editor from Superintendent Dr. Todd Hoadley acknowledging the Olmsted Falls Board of Education ran in last week’s Sun Post Herald. To read the letter to the editor, please click here. 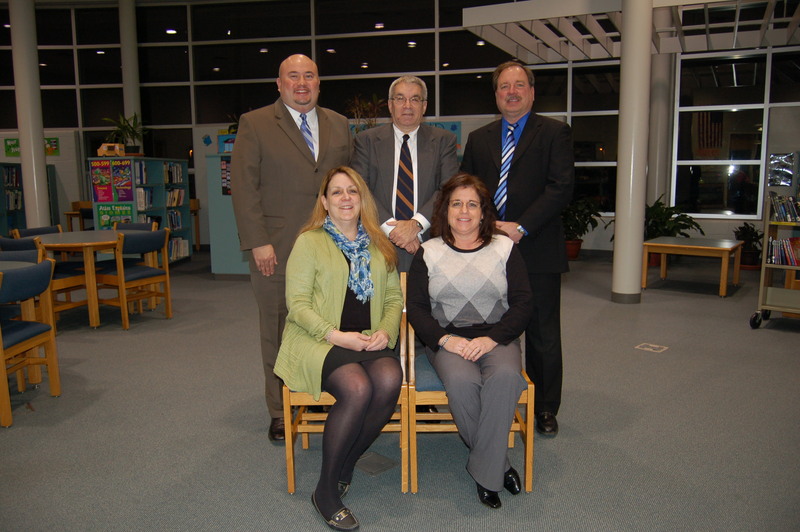 This month, the Olmsted Falls Board of Education also elected officers for 2013. Mr. James Weisbarth was elected to serve another year as Board President for calendar year 2013; and Mr. Joe Bertrand was elected to serve another year as Board Vice President. Board Member Mrs. Rhonda McCrone will serve as the Board’s legislative liaison for 2013. We extend both congratulations and thanks to these individuals for taking on these additional responsibilities in the coming year. Our Bulldogs are making news! Congratulations to Middle School student Sarena Muscatello (pictured at left) for being named student of the week by The Sun Post Herald! Please click here to read why Sarena was selected. The Sun Post Herald also just featured an article on the OFHS Gymanstics Team. To view the article, please click here. 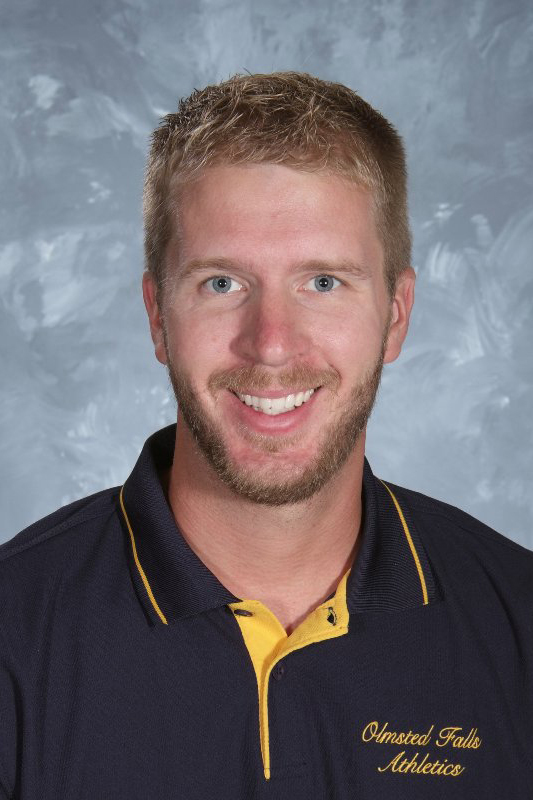 Mr. Heath Krakowiak has been an employee of the Olmsted Falls Schools since 2000. He earned his degree in Public Administration after deciding that he would like to focus on the business side of education. Mr. Krakowiak has worked in every building in some fashion, and has been the Transportation Supervisor since 2011. Mr. Krakowiak has been a Bulldog all of his life, and loves the unwavering PRIDE within our community. He believes that it is addictive and refreshing to see it continue to catch onto our newest students and staff. Mr. Krakowiak and his wife, Mariel, an art teacher at OFHS, live in the district with their two children, Colbie (4), and Lleyton (19 months). In his spare time, he enjoys spending time with his family, playing golf, and being outside. 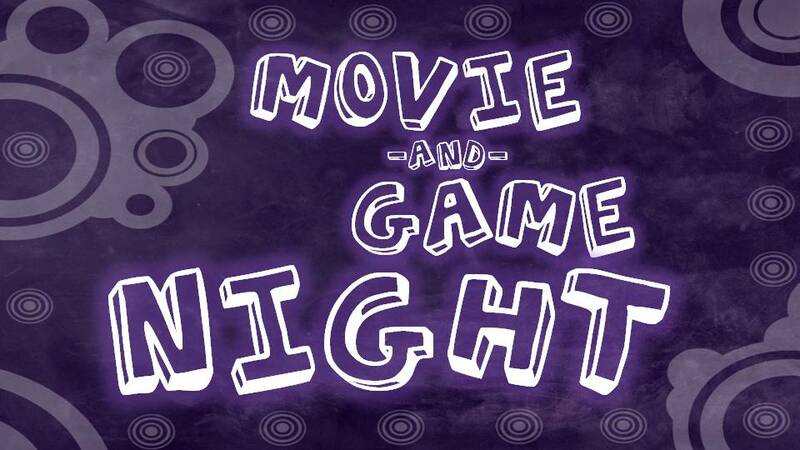 TIME: 6:00 p.m. -8:30 p.m.
WHERE: OFHS, Cafeteria: Games, Snacks, and Making Valentine’s, Auditorium: Showing of the movie “Finding Nemo” at 6:30 p.m. Reminder: Helping Hands will continue to collect aluminum pull tabs through Friday March 22 for the Ronald McDonald House. Please drop off donations to Mariel Krakowiak at OFHS or to Rachael Papa at OFMS. Thank you for supporting such a wonderful organization. Students at Falls-Lenox will be invited to participate in the Jump Rope for Heart fundraiser to benefit research in heart disease. Although the actual event will not be starting this week, National Wear Red Day is this Friday, February 1st, 2013. Falls-Lenox students are encouraged to wear RED this Friday to raise awareness about Heart Disease and our upcoming fundraiser. The PE teachers, Mr. Dame and Mr. Hoover, will be supporting this event in PE classes and more information will be coming. 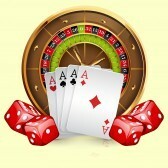 The Annual Olmsted Falls Alumni Association Las Vegas Night, featuring gambling, food and fun, will be held at the Irish-American Club, 8559 Jennings Rd. (south off Bagley, west of Stearns), in Olmsted Township on Saturday, February 23, from 7 p.m. to midnight. There will be a cash bar, refreshments by Angelina’s, door prizes, big wheel, dice, black jack, let it ride, poker, Texas hold ‘em, 50/50 raffle and VitaMix raffle. All profits go towards scholarships for the OFHS class of 2013. Tickets are $5 in advance, $6 at the door. Call the Alumni Office at 440-427-6030 for tickets or more information. 21 and over please… Hope to see you there!! BATTLE OF THE SCHOOLS IS ON: FALLS-LENOX/ECC TEAM SHIRTS ON SALE NOW! 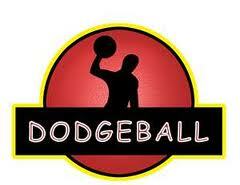 This year we are playing DODGEBALL! Come out and support your school! Tickets are $3.00 for Students & $6.00 for Adults and on sale at the door! T-SHIRTS FOR FALLS-LENOX/ECC TEAM ON SALE NOW!! $6.00 a shirt! Please click here for the order form. All money raised for this event goes to PTA scholarship fund. 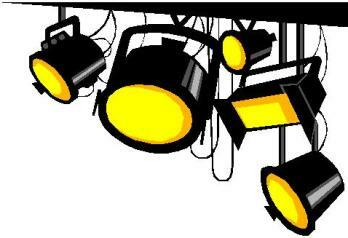 The 26th Annual Olmsted Falls High School PTA Talent Show will be held Friday, March 15, 2013 at 7 pm in the Olmsted Falls High School Auditorium. Join us for a fun-filled evening featuring 21 acts ranging in age from Kindergarten through 12th Grade demonstrating their musical, vocal, dance, acrobatic and magical talents. Please come and support these amazing students. All proceeds will benefit the OFHS scholarship fund. Watch this weekly blog for more details. For further information, contact Claudia Ferrini at 440-427-0894. OLMSTED FALLS MASQUERS & FORENSICS AND SOMETHING DADA IMPROVISATIONAL COMEDY CO. PRESENT COMEDY NIGHT! 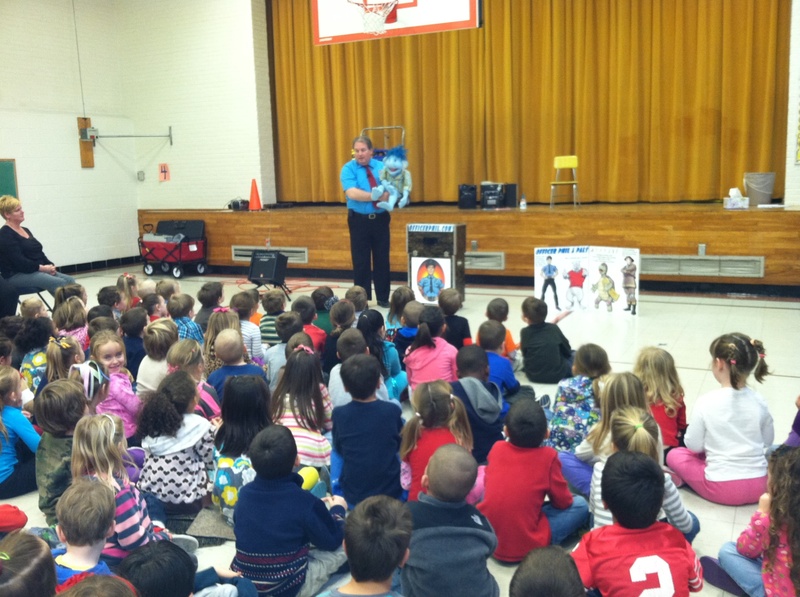 HELP FALLS-LENOX RECEIVE A VISIT FROM AUTHOR JAN BRETT! 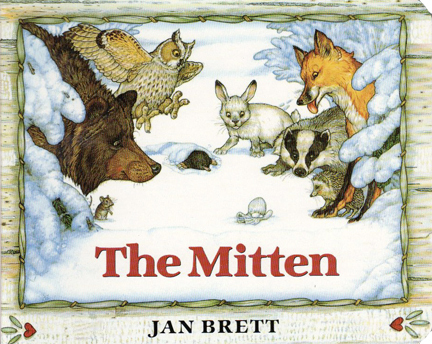 A favorite author of many of our primary students, Jan Brett, is offering an opportunity for our school to win prizes. The top prize is a school visit by Jan Brett herself! We are in 12th Place right now with 66 votes. The school that is in first place right now has 354 votes. All you need to do is like her Facebook page and click on the “Contest” button at the top of the page. The “Contest” button states “Free school or library visit.” From there, just fill out the entry which only requires basic information (name, email, school name, city, state and zip code)! Each person can post one time. If you are a Facebook user, please consider visiting Jan Brett’s Facebook page today to enter the contest. Encouraging family and friends with Facebook pages to do the same will help even more! What excitement for our students to be the winning school for this special author’s visit! As a proactive way to address the important topic of teen depression and related issues, Olmsted Falls Middle School annually offers depression awareness and suicide prevention training through the Signs of Suicide (SOS) Middle School Program. The SOS Program at OFMS will include a classroom presentation which will be conducted by our own school counselors and school psychologists. All seventh graders will participate in this program on the following days: Phoenix Team on Wednesday, January 30th; and Griffin Team on Monday, February 11th. To read the letter sent to Middle School parents this week, please click here. 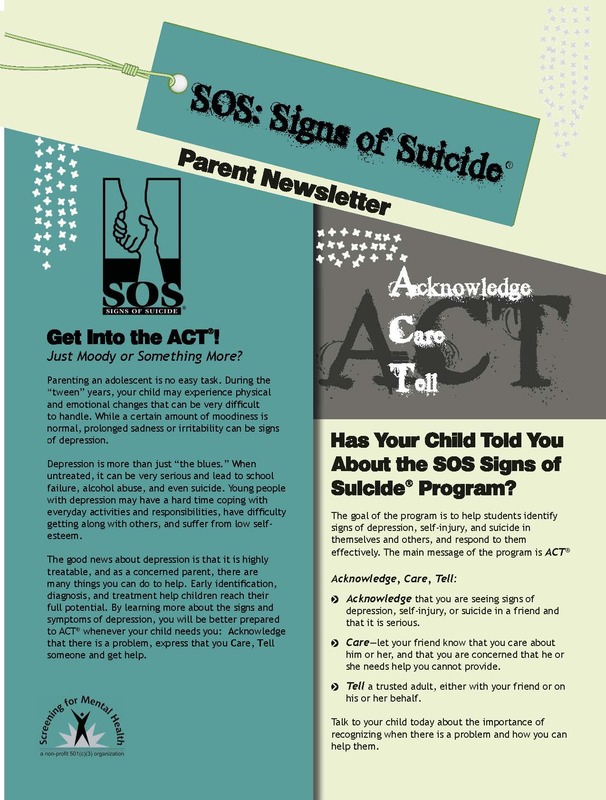 To download the SOS: Signs of Suicide Parent Newsletter, please click here. Please contact Middle School Principal Mark Kurz with any questions at 427-6200. The OFHS Post Prom Committee will be holding a Post Prom Meeting, TONIGHT, Wednesday, January 30th at 7:00 p.m. at Taqueria Junction 8154 Columbia Road across from Drug Mart. The purpose of the committee is to help provide a safe and substance free environment for after the Prom. The committee needs the help of senior parents and anyone else who may want to donate their time and talent to this event. The DECORATING committee will hold a meeting to start collecting ideas around our theme for that night. Please come and be a part of constructing, painting or setting up. Help us make it a memorable event! Any questions, please contact: Denise Olszewski 216-271-6000, ext. 1314. For seniors interested in applying for the Local Scholarship Program, applications are due to the HS Counseling Office by no later than 3:30 p.m. on Friday, February 15th. Last year, thanks to the generosity of 71 local community donors, the OFHS Local Scholarship Program awarded more than $121,500 through 241 scholarships for members of the Class of 2012. 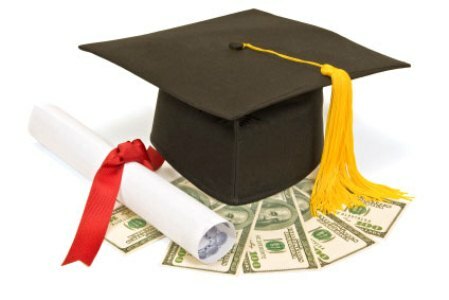 Local Scholarship Applications can be picked up in the Guidance Office or downloaded by clicking HERE. Please contact Ms. Tommye Laut at 427-6116 with any questions. Dinner will be provided by Applebee’s-Salad, Chicken, Broccoli Alfredo, Rolls and Dessert. Tickets are $10.00 for adults and $6.00 for kids 10 and under. Raffle baskets, 50/50. For tickets, call Deanna Kress 216-513-6513 or Ellen Dregalla 440-235-1364. To view and download the invitation and order form, please click here. 2013 YEARBOOK ON SALE NOW! Oh memories, Oh memories, how will we keep you? By buying a 2013 yearbook of course! 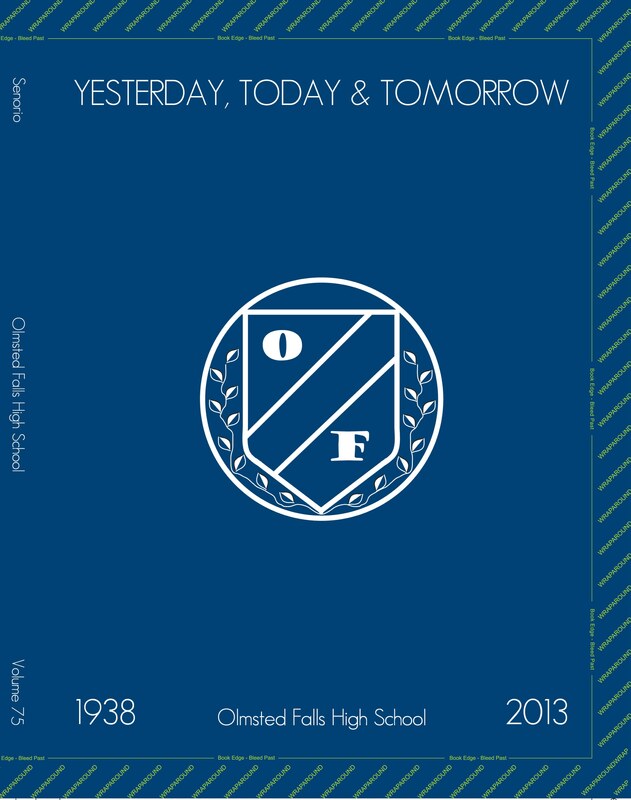 The new 2012-2013 yearbooks can now be preordered; the year book costs $50. They can be purchased online by clicking here. Last year’s yearbook can still be purchased as well for $60. Please contact Mr. Gaba or Mrs. Pickenheim at Olmsted Falls High School if you have any questions. Items for the District’s Weekly Blog Update must be submitted by 4:00 p.m. each Friday for the following week’s post. The Weekly Blog Update will be published every Wednesday that school is in session. Items should be no more than 125 words and should be sent in paragraph form. To view the new Content Submission Guidelines information sheet, please click here. 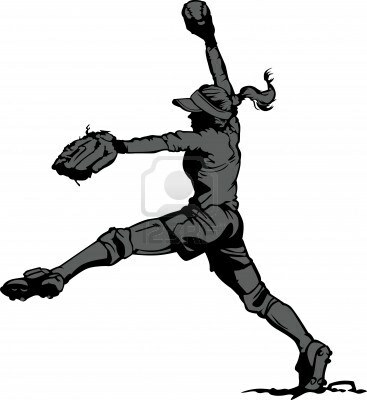 OLMSTED GIRLS FASTPITCH TRAVEL SOFTBALL REGISTRATION, TONIGHT! WEDNESDAY JANUARY 30th, 6:00 P.M. – 8:00 P.M. at OFIS CAFETERIA – Olmsted Girls Fastpitch Association will be holding open registration for the upcoming 2013 season. Registration is open to all girls in grades 2 thru 12 living within the Olmsted Falls School District. We are part of the Emerald Necklace Girls Fastpitch Association and field teams who play in divisions ranging from U10-to-U18. Our season typically consists of games played in late May through early July. While we can’t guarantee wins, we do ensure you that your daughter will have fun playing fastpitch softball. Contact olmstedgirlsfastpitch@gmail.com if additional information is needed. To view the flyer, please click here. For the registration form, please click here. OLMSTED FALLS SOCCER ASSOCIATION REGISTRATION, TONIGHT! WEDNESDAY, JANUARY 30th, 6:00 P.M. – 7:00 P.M. AT OLMSTED FALLS MIDDLE SCHOOL – This program is opened for ages 4 to 14 and includes one night of practice and a game on Saturday mornings. Please check out our web site for more details at www.olmstedsoccer.wordpress.com or you can email a question to clearysoccer@att.net. STORE CLOSING – FRIDAY, FEBRUARY 1ST – KIDDE KARGO GRAND PACIFIC JUNCTION – Local chidlren’s resale store, Kidde Kargo, is closing. Last day of operation is this Friday, February 1st. 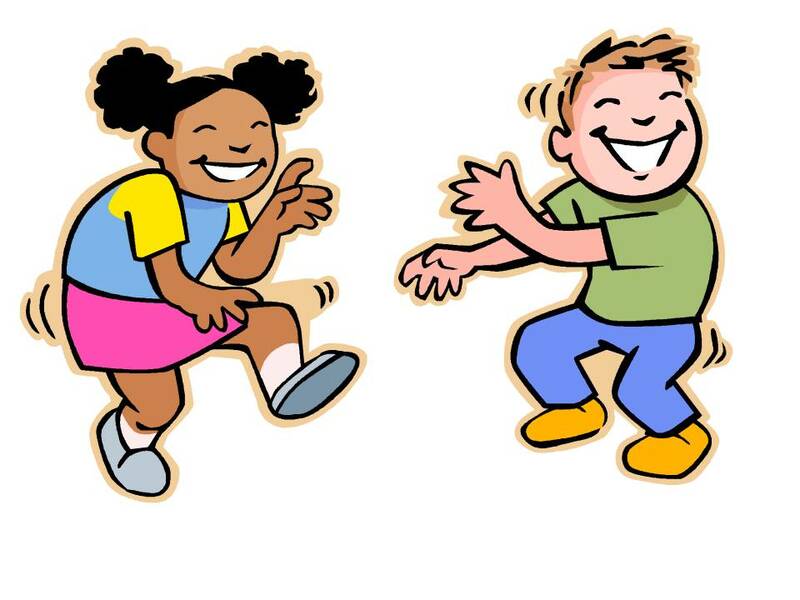 SATURDAY ACTIVITY NIGHTS… ARE All NEW in 2013, 7:00 P.M – 10:00 P.M. AT OLMSTED COMMUNITY CENTER, 8170 MAPLEWAY DRIVE, 440-427-1599 – For ages 8-13, Cost is $8.00. Mark Your Calendars: February 16th, InFocus Interactive Photo Booth. Kids get silly pics w/ your friends. 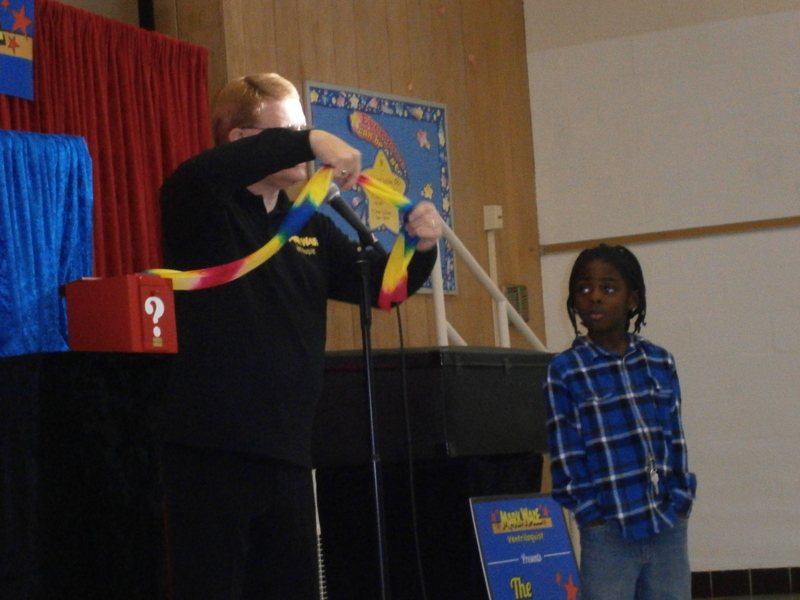 March 16th, Magician and Illusionist, Magic Mike. Every Saturday Night includes: Basketball, Ultimate Football, Dodgeball, Obstacle Courses, in our full gym, Crafts, Games w/ Prizes, and free Air Hockey, Pool, Ping Pong and Fooseball. Get your friends together and get out of the cold to enjoy physical fitness and fun indoors on Saturdays this winter. Parent Volunteers currently being accepted. Contact: Amy Hanratty: a.hanratty@sbcglobal.net . Notice: Background checks mandatory for Volunteers & Staff over 18 yrs. Visit: www.olmstedcc.com to view this months featured flyer & fun! OLMSTED TRAVEL BASEBALL ASSOCIATION (OTBA) – Olmsted Travel Baseball Association (OTBA) is currently holding open registration for teams that will compete in the Lorain County Hot Stove (LCHS) travel baseball league. Parents of children ages 6-18 who are interested in playing travel baseball should download and complete the registration form on www.olmstedtravelbaseball.com. All money and registrations are due by 2/9/2013. 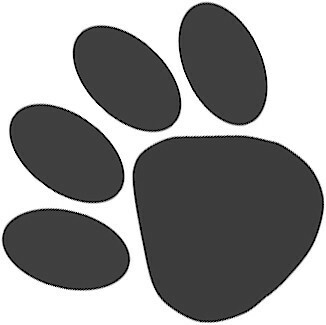 Walk-up registration is available at the Olmsted Falls High School cafeteria on 2/6/2013 from 6-8pm and on 2/9/2013 from 9-11am. Questions regarding OTBA and LCHS can be directed to Bob Kelley at bob@kelleyjr.com. Each year, with the arrival of winter weather, we receive a number of questions regarding our District’s policy for closing school due to inclement weather conditions. We understand that the decision to close schools has an enormous impact on all of our families. To read more about how Olmsted Falls School District determines snow days, please click here. 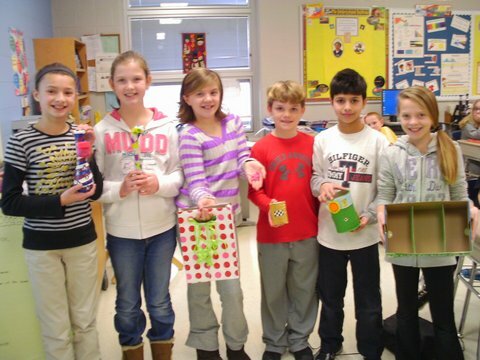 Some 5th grade science students used their knowledge learned in class, to help save our environment! 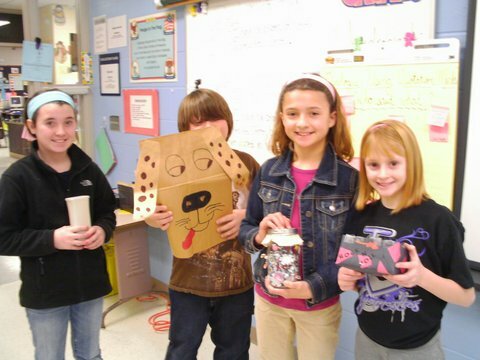 Each one of these students demonstrated a creative way to reuse something that they would have just thrown away. They took items that they didn’t use anymore and turned them into a new ‘resource’ that they can use in their everyday life. Some of the wonderful new resources were: using an empty water bottle and an old sweater to create a new dog toy, using an empty cereal box and left over string to create a cute purse, using an empty restaurant ‘to go’ container as a new hair-tie holder, using an empty orange juice carton as a new money collector for chores, using an empty cereal box to carry their paperback books in so the ends don’t get bent, and many more! 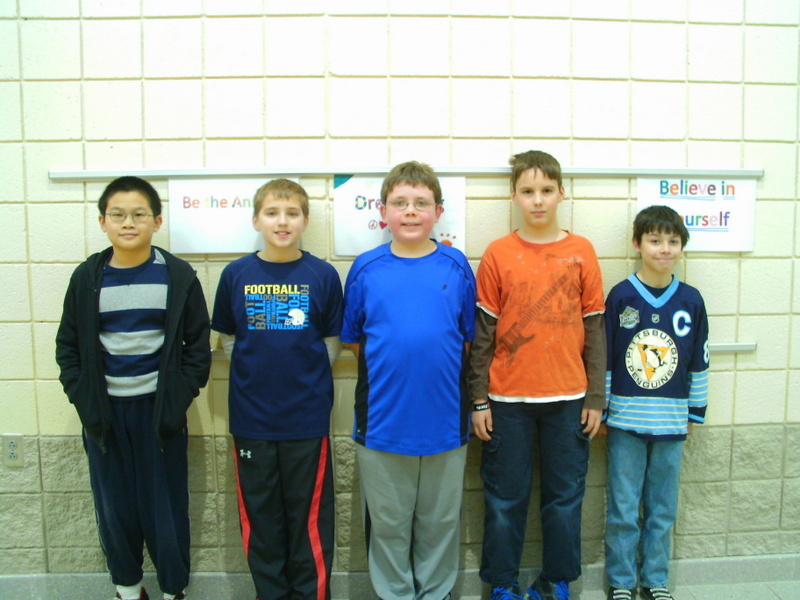 All students in both buildings took a qualifying round of questions from National Geographic, endorsers of the Geography Bee. From this qualification, the group was narrowed down to take a Preliminary Round (about 60 students per building), and then the FINALISTS emerged from each building to compete in a competition that was held at the Middle School on Janaury 8th and the Intermediate School on Janaury 9th. Congratulations! 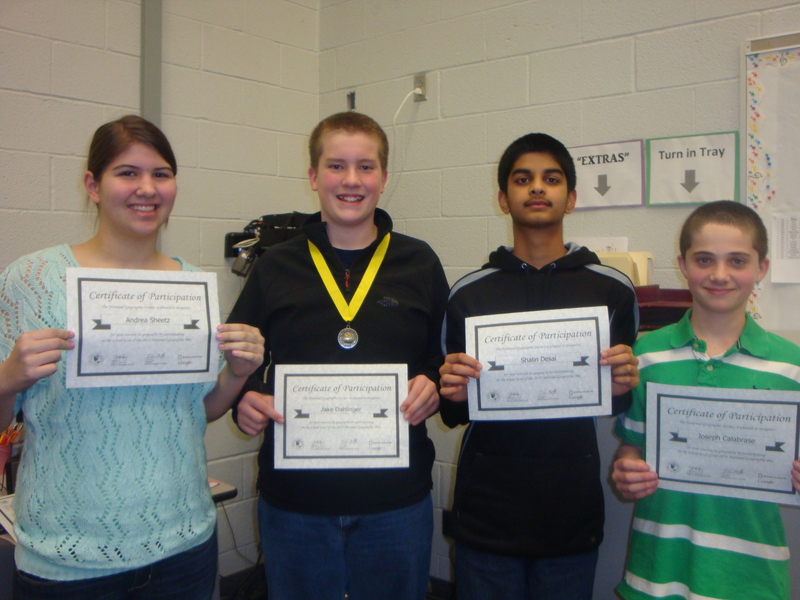 The winners of the Middle School and Intermediate School competitions will each take a qualifying state exam. Results of that exam will determine qualification for the state competition to be held in April. The winner of the state competition will win an all-expense paid trip for four to Washington D.C. to compete at the National level in May. 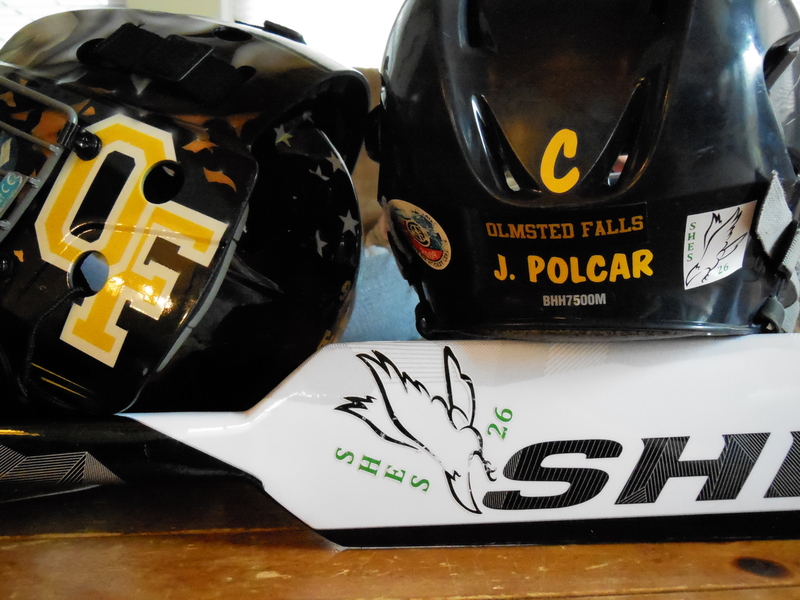 The Olmsted Falls Hockey Team is taking a stand! The hockey team is wearing a decal to support those of the Sandy Hook Elementary School tragedy. A decal was created that would represent the best memorial, while making a statement. Team mates recognize the youth that had their lives taken too early. If anyone is at a game, take a look at the backs of the helmets and you will see the Sandy Hook Eagle mascot flying high across the ice. An additional decal was made to place on the goalies stick. Thank you captain Chris Polcar for making this happen. 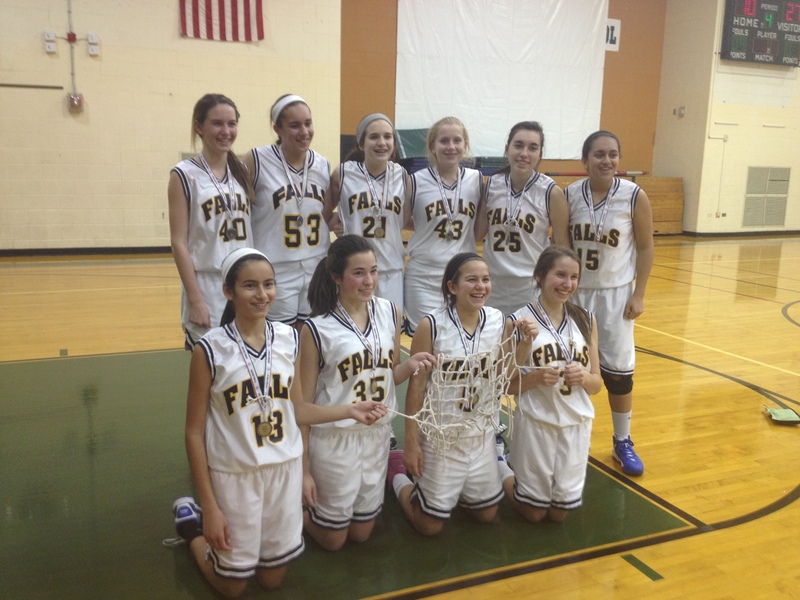 OFMS 8TH GRADE GIRLS BASKETBALL TEAM TAKES 1ST PLACE! Congratulations to the 8th grade girls non conference team who finished their season with a 27-10 victory over Westlake to take 1st place in the tournament! These girls worked hard all season and it showed with a regular season record of 8 wins and 3 losses, 10-3 overall, with all 3 losses by 1 point each! Coaches Urban and Palmer would like to thank their players for a GREAT season! They are so proud of each and every one of you! A favorite author of many of our primary students, Jan Brett, is offering an opportunity for our school to win prizes. The top prize is a school visit by Jan Brett herself! All you need to do is like her Facebook page and post “Falls-Lenox Primary School, Olmsted Falls, OH” in your comment. Each person can post one time. If you are a Facebook user, please consider visiting Jan Brett’s Facebook page today to post a “like” on our behalf. Encouraging family and friends with Facebook pages to do the same will help even more! What excitement for our students to be the winning school for this special author’s visit! Mr. Jim Brabenec, a Bulldog alumnus, is in his first year of teaching in the district after graduating from The Bowling Green State University in May of 2012. 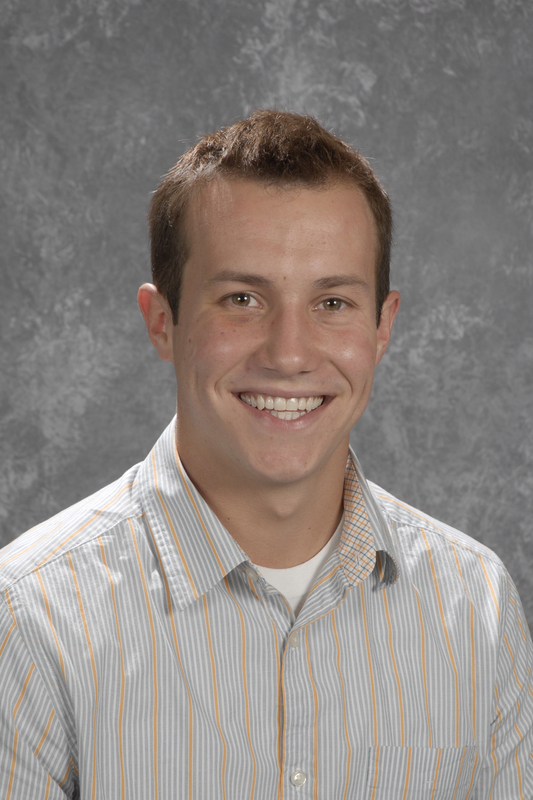 He currently serves an an intervention specialist-tutor at Olmsted Falls High School and also coaches basketball. Mr. Brabenec decided on a career in education because he has always enjoyed working with people. Additionally, the teachers that he had as a student himself made an impact on his life, which in turn made him want to do the same and follow in their footsteps. Mr. Brabenec loves the community and how supportive everyone is of one another. He thinks that the students and faculty of Olmsted Falls are wonderful people! In his spare time, Mr. Brabenec enjoys staying active and participating in recreational sports leagues. The OFHS Post Prom Committee will be holding a Post Prom Meeting, Wednesday, January 30th at 7:00 p.m. at Taqueria Junction 8154 Columbia Road across from Drug Mart. Just in time for Super Bowl Sunday! Support the OFHS Post Prom Committee by purchasing ready to bake cheese pizza from Angelina’s Pizza. Order a medium ready to bake cheese pizza for either Super Bowl weekend, or order gift certificates for medium ready to bake cheese pizza for later. Please click here for order form and more details. Proceeds benefit OFHS Post Prom 2013 – a safe and secure after prom party made possible by parent volunteers. Oh memories, Oh memories, how will we keep you? By buying a 2013 yearbook of course! The new 2012-2013 yearbooks are on sale now for $45 a limited time only. They can be purchased online by clicking here. Last year’s yearbook can still be purchased as well for $60. Please contact Mr. Gaba or Mrs. Pickenheim at Olmsted Falls High School if you have any questions. RELAY FOR LIFE KICK-OFF THANKS YOU! A HUGE thank you to all the students, staff, and community members who supported the Relay For Life Kick-Off Event at the OF Basketball games last Friday night! It was exciting to see Relay spread into the community in a new and exciting way! 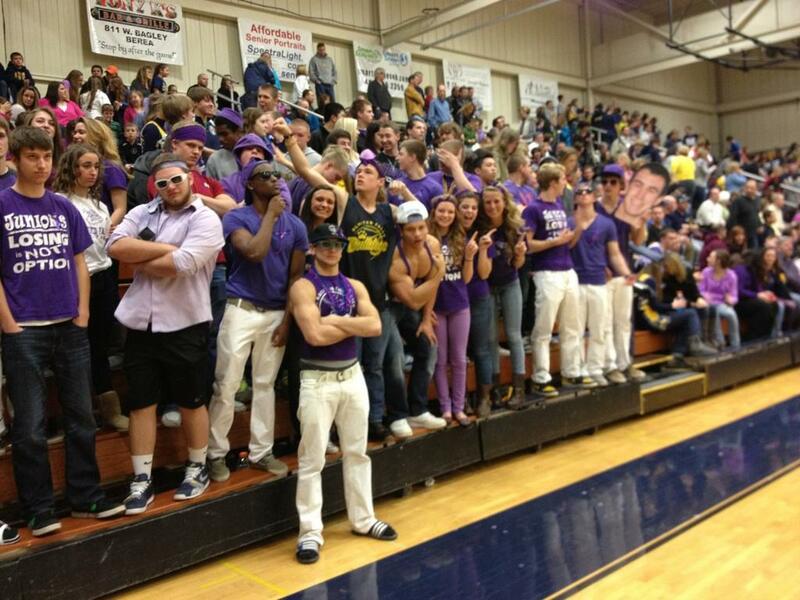 Thank you to the basketball teams, cheerleaders and their coaches for supporting the event and wearing their purple! Thank you to the Olmsted Falls Athletic Boosters for all their help and allowing Relay to take over 50/50 for the night! The grand total for the night was $827!!! A very special thank you to Olmsted Falls City Schools Assistant Superintendent Dr. Jim Lloyd who won the 50/50 and donated the majority of it back to Relay! Thank you everyone! Go Bulldogs and Go Relay! OLMSTED GIRLS FASTPITCH TRAVEL SOFTBALL REGISTRATION, WEDNESDAY JANUARY 30th, 6:00 P.M. – 8:00 P.M. at OFIS CAFETERIA – Olmsted Girls Fastpitch Association will be holding open registration for the upcoming 2013 season. Registration is open to all girls in grades 2 thru 12 living within the Olmsted Falls School District. We are part of the Emerald Necklace Girls Fastpitch Association and field teams who play in divisions ranging from U10-to-U18. Our season typically consists of games played in late May through early July. While we can’t guarantee wins, we do ensure you that your daughter will have fun playing fastpitch softball. Contact olmstedgirlsfastpitch@gmail.com if additional information is needed. To view the flyer, please click here. For the registration form, please click here. OLMSTED FALLS SOCCER ASSOCIATION REGISTRATION, WEDNESDAY, JANUARY 30th, 6:00 P.M. – 7:00 P.M. AT OLMSTED FALLS MIDDLE SCHOOL – This program is opened for ages 4 to 14 and includes one night of practice and a game on Saturday mornings. Please check out our web site for more details at www.olmstedsoccer.wordpress.com or you can email a question to clearysoccer@att.net. 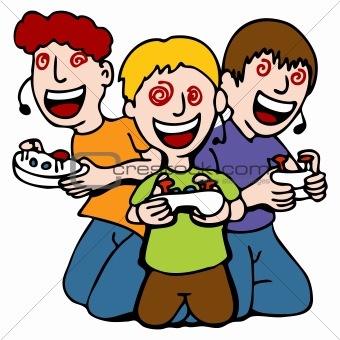 SATURDAY ACTIVITY NIGHTS… ARE All NEW in 2013, 7:00 P.M – 10:00 P.M. AT OLMSTED COMMUNITY CENTER, 8170 MAPLEWAY DRIVE, 440-427-1599 – For ages 8-13, Cost is $8.00. This Saturday don’t miss “Webkinz Night,” an all-time favorite. Mark Your Calendars: February 16th, InFocus Interactive Photo Booth. Kids get silly pics w/ your friends. 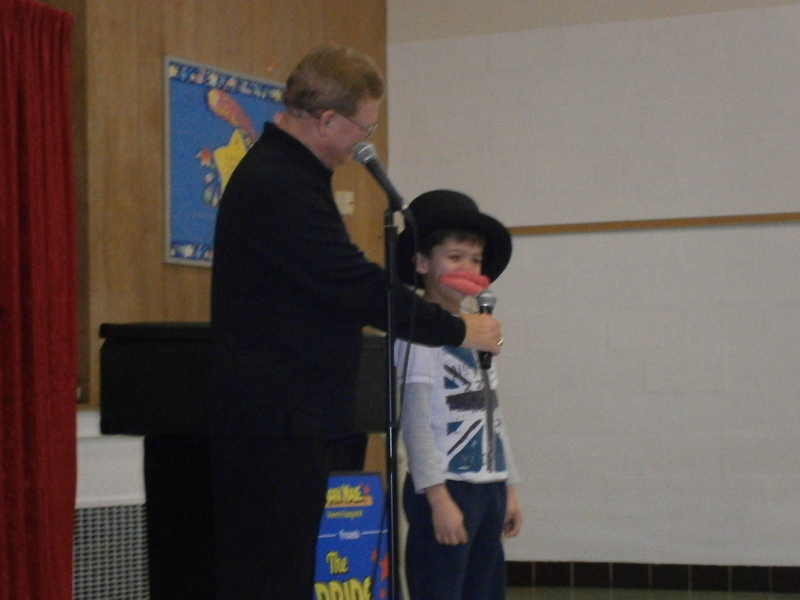 March 16th, Magician and Illusionist, Magic Mike. Every Saturday Night includes: Basketball, Ultimate Football, Dodgeball, Obstacle Courses, in our full gym, Crafts, Games w/ Prizes, and free Air Hockey, Pool, Ping Pong and Fooseball. Get your friends together and get out of the cold to enjoy physical fitness and fun indoors on Saturdays this winter. Parent Volunteers currently being accepted. Contact: Amy Hanratty: a.hanratty@sbcglobal.net . Notice: Background checks mandatory for Volunteers & Staff over 18 yrs. Visit: www.olmstedcc.com to view this months featured flyer & fun! 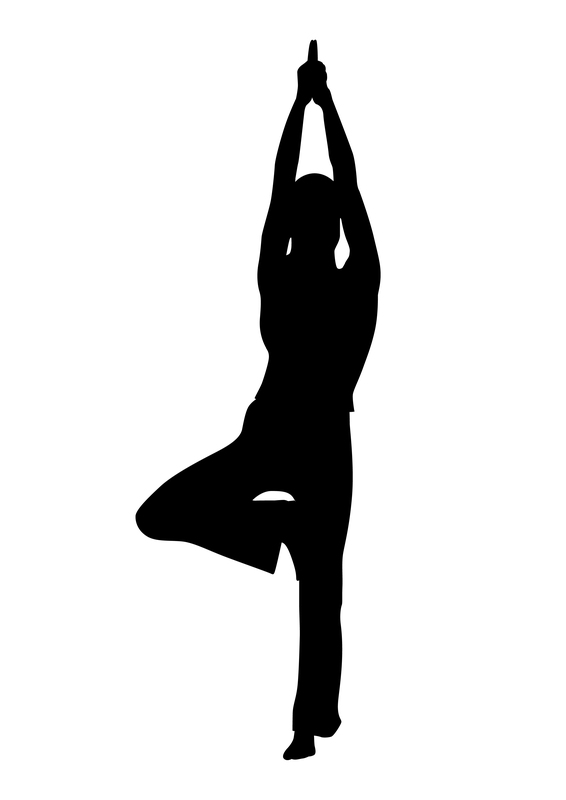 LOCAL YOGA CLASSES OFFERED TUESDAYS/THURSDAYS/FRIDAYS IN FITNESS STUDIO AT OLMSTED COMMUNITY CENTER — Serenity Yoga offers three yoga classes per week, ongoing throughout the year, in the upper level fitness studio at the Olmsted Community Center. For class times, pricing and to reserve your space, visit www.liveserenityyoga.com or call (216) 282-YOGA. OPTIONS FOR ACTION PRESENTATION ON SCHOOL SHOOTING DEFENSE PROCEDURES – SUNDAY, JANUARY 27TH, 2:00 P.M. AT FIGHT FIT (17820 Engelwood Drive., Suite 5, Middleberurg Heights, OH) — Special presentation from concerned parents regarding nationally recommended guidelines regarding school shooting safety procedures and lockdown training. To download event flyer with additional information, please click HERE. ** Reminder **: There is no school this Monday, January 21st in observance of Martin Luther King Jr. Day. School will resume on Tuesday, January 22nd. Enjoy! 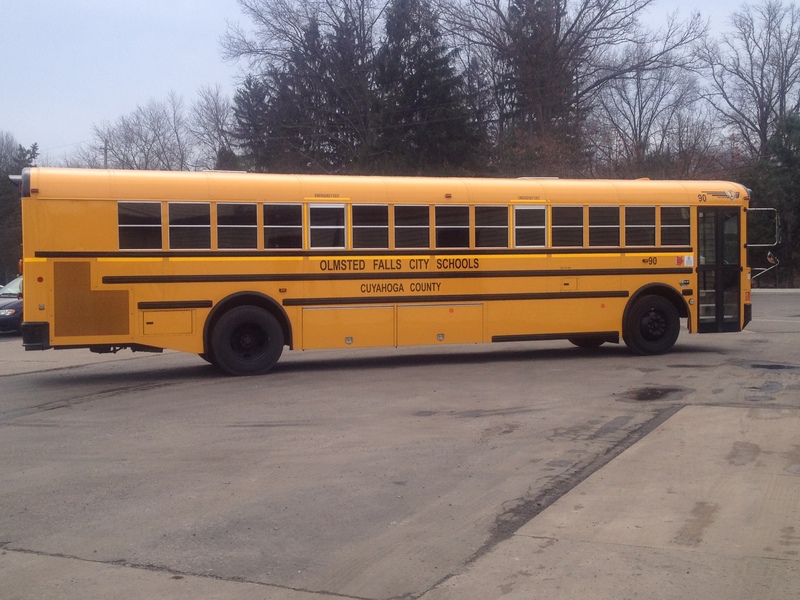 Passage of the Permanent Improvement Levy for Olmsted Falls Schools continues to help stretch the District’s General Fund, by shifting expenses such as the cost of replacing school buses, to the P.I. fund. The first new school bus to be purchased with P.I. funds was delivered to the District the Friday before winter break and passed required Highway Patrol inspection that same day. The 2014 International School Bus was built in Oklahoma in November and is the second International School Bus in our fleet. The new bus is capable of transporting 84 passengers and has been designated Bus #90 in the District’s fleet. Bus #90 was proudly put into service last Wednesday, January 9th. 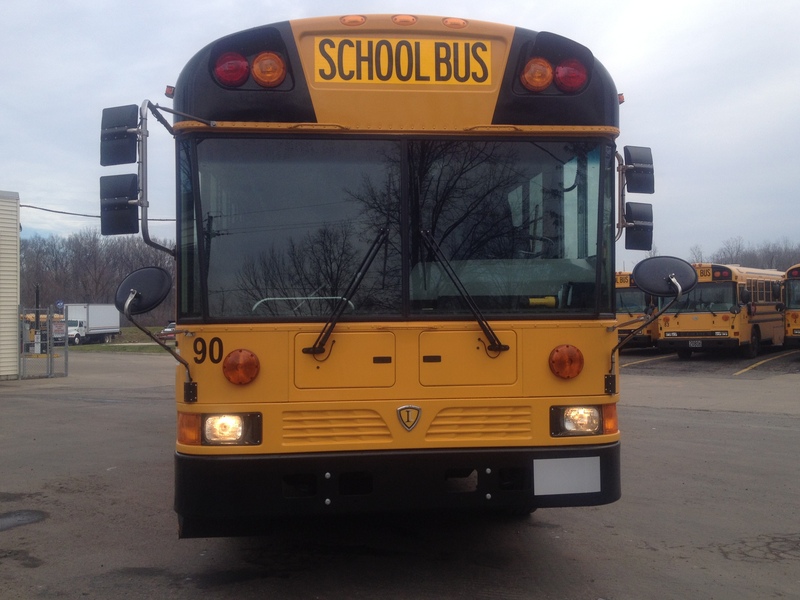 With the addition of Bus #90 to the fleet, Olmsted Falls School District was able to sell one of the District’s older buses through the Ohio School Council’s approved auction website, which the District began using last year to generate funds through the sale of old equipment and supplies. The trade-in value offered to the District for this bus (when we purchased our new bus with P.I. funds) was $1,100. The auction price on the bus closed at $3,250 – another great example of further maximizing District funds through innovative partnerships! Links to the on-line school safety surveys, which were e-mailed to Bulldog parents last month, will remain available on-line for one more day before the survey window closes at 11:59 p.m. tomorrow night. Any parents interested in participating in the survey who have not yet had the opportunity to do so are encouraged to access the on-line surveys before the access to the survey links is shut down at 11:59 p.m. Thursday, Jan. 17th. Your thoughts and feedback are important to us. The information obtained from these important surveys will be very useful to our District’s overall process of updating building safety plans. The OFHS Post Prom Committee will be holding a Post Prom Meeting TONIGHT, Wednesday, January 16th at 7:00 p.m. in the library. The purpose of the committee is to help provide a safe and substance free environment for after the Prom. The committee needs the help of senior parents and anyone else who may want to donate their time and talent to this event. The DECORATING committee will hold a meeting afterwards to start collecting ideas around our theme for that night. Please come and be a part of constructing, painting or setting up. Help us make it a memorable event! Any questions, please contact: Denise Olszewski 216-271-6000, ext. 1314. 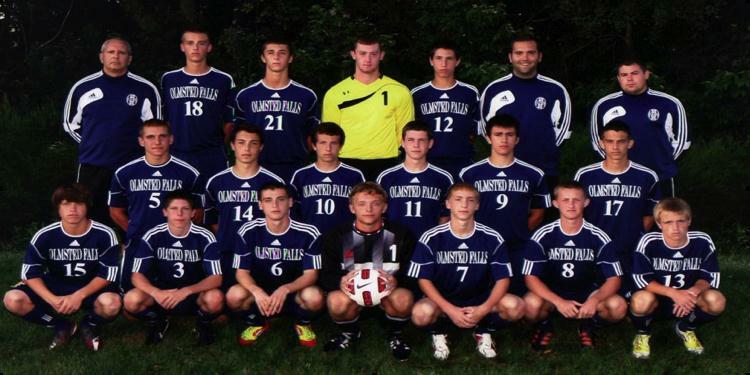 End of the season honors for the 2012 Olmsted Falls High School boys soccer team occurred both on the athletic field and in the classroom, epitomizing the term student–athlete. Congratulations to Erric Skutt. Brad Sommer, James Bildstein, John Levin, Jake Samsel, Ryan Crozier, Christian Klein, Adam Woodruff and Conner Bailey for earning a combination of honors from SWC, Greater Cleveland Division I, and the All-Ohio Academic Team. Congratulations also go to Head Coach James Walchanowicz for being named 2012 SWC Coach of the Year by his peer. For more details about the impressive list of honors achieved by the OFHS boys soccer team this season, please click here. The Olmsted Falls High School Cheerleaders will present a Mini Cheer Clinic and Cheer Night for Olmsted Falls students in 3rd through 5th grades – January 24th -25th. Registration Deadline: By 3:00 p.m. on Thursday, January 17th. For detailed information and registration form, please click here. 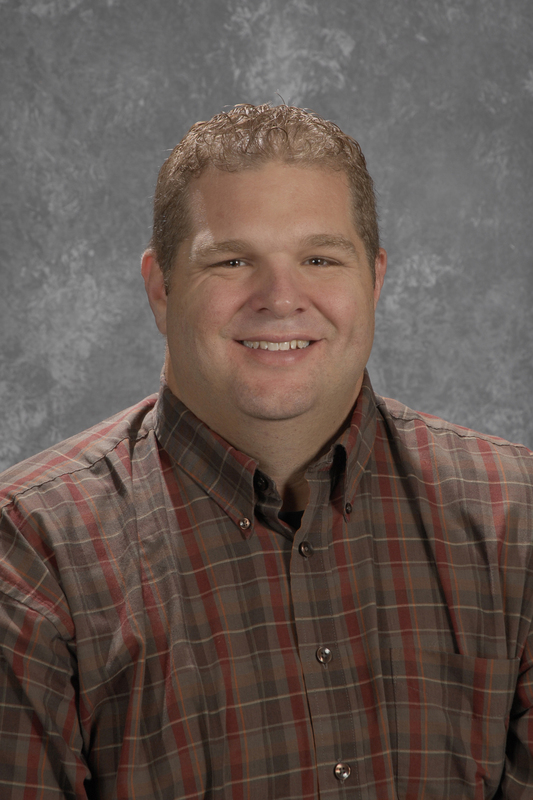 Mr. Dan Largent is currently in his 13th year in the Olmsted Falls City School District. Currently, he teaches 7th grade World History and also serves as the Varsity Baseball Coach and OFEA Public Relations Chair. Growing up, Mr. Largent had ambitions of becoming an attorney. However, after tutoring an elementary student as a junior in high school, he realized how passionate he was about teaching. Mr. Largent loves being a Bulldog because of the sense of community pride: in high school, he was actually part of the excavating crew that helped build Olmsted Falls Middle School, and was able to witness firsthand the Bulldog spirit prior to his employment here!! In his spare time, Mr. Largent, an Olmsted Township resident, enjoys spending time with his wife April and their two daughters, Brooke (5), Grace (3) and his dog Bernie. Additionally, he enjoys musical theatre, singing for his church, fishing, and watching movies. Every year, Ohio PTA presents awards to educators and volunteers/staff who show outstanding and remarkable support of youth. The Outstanding District Educator Award is presented to a certified educator who is a PTA member and is nominated by a fellow staff or parent in the school district. The Helping Hands Award is given to an outstanding volunteer or school district staff member (non-certified educator) who is a PTA member nominated by fellow staff or parents. The local deadline for this year’s nomination is January 22nd! Please click HERE to download nomination forms and learn more. OLMSTED FALLS LACROSSE INFORMATION MEETING TOMORROW, THURSDAY, JANUARY 17th, from 7 p.m. – 8 p.m. AT THE HIGH SCHOOL CAFETERIA – The Olmsted Falls Lacrosse Association will be holding its Information and Registration Night at the High School Cafeteria to kick off its 4th season. In the first three seasons the program has grown from 20 boys to 160 boys and girls learning and participating in the fastest growing sport in the United States. New this year are high school boys and girls teams, and a Middle School girls team! We are again offering a 10 week developmental program for 1st and 2nd grade boys and girls. Join us for one hour and learn about the “Fastest Game On Two Feet” — Find out more online at olmstedfallslax.com. To download the informational flyer and registration form, click here. RELAY FOR LIFE KICK-OFF EVENT – THIS FRIDAY, JANUARY 18TH, 7 P.M. AT THE OFHS VARSITY BASKETBALL GAME – SAVE THE DATE!! The Olmsted Falls Relay For Life is having a Kick-Off Event on Friday, January 18th at the Olmsted Falls Bulldogs Varsity Basketball game! The game starts at 7:00 and will be against Avon Lake. At the game, we will be advertising Relay, handing out “Save The Dates” and selling cupcakes and luminaria. The Olmsted Falls Athletic Boosters have also generously allowed us to take over the 50/50 for the evening! Please consider coming out, supporting Relay, and wearing your PURPLE! It will be a great night and we hope to see you there! On behalf of Olmsted Falls Schools, we would like to wish all of our students and their families a Happy New Year! We hope you had a relaxing and enjoyable winter break. Students being dropped off or picked up during those times will need to follow the traffic pattern used during home football games whereby students arrive at the side doors (Athletic Entrance) after the car loops through the student parking lot. Signs will be posted and personnel will be out to help direct traffic during the first few days of the new pattern. We appreciate your help in advance as we continue to improve. Links to the on-line school safety surveys, which were e-mailed to Bulldog parents last month, will remain available on-line until midnight NEXT THURSDAY, JANUARY 17TH. Your thoughts and feedback are important to us. The information obtained from these important surveys will be very useful to our District’s overall process of updating building safety plans. 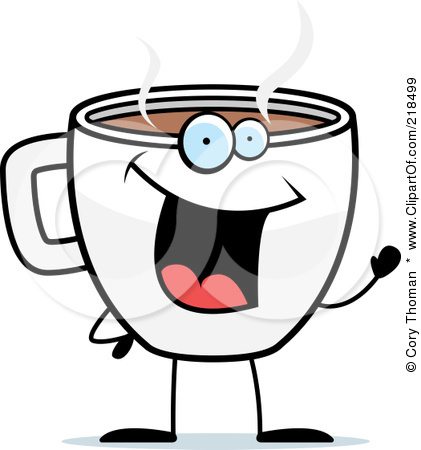 Please join the Student Ambassadors and the Mu Alpha Theta Mathematics Honors Society in the OFHS Cafe from 3:00 p.m. to 4:30 p.m. for a Midterm Study Session and a hot cup of cocoa TOMORROW – Thursday, January 10th! The National PTA suggested two ways to help students from Sandy Hook Elementary School in Newtown, CT following last month’s tragic shooting. When school resumed for Sandy Hook students, it was in a new building. Parent volunteers worked to ensure that the students were welcomed to their new building by a winter wonderland with the entire school decorated with as many unique snowflakes as possible. 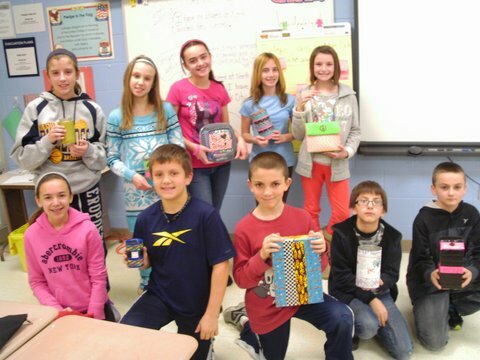 Teacher Susan Chaplin organized participation in this special effort by Olmsted Falls Middle School students staff. The snowflake donations were collected and mailed to the Connecticut PTSA before Winter break. 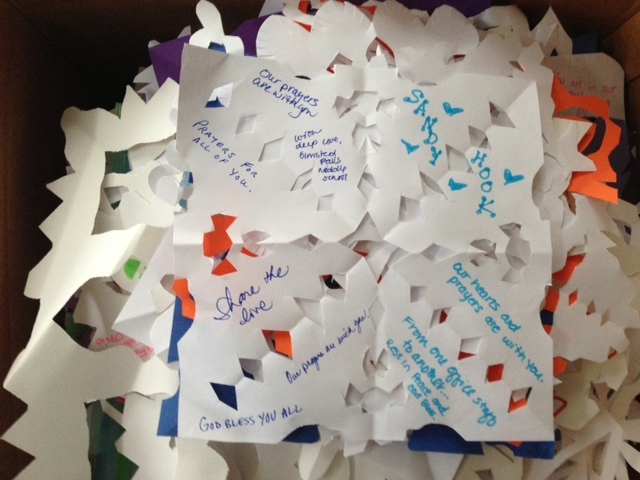 As you can see in the photo, the designs were unique and beautiful with thoughtful messages written on each. Kudos to OFMS for this thoughtful outreach effort. The staff members of Olmsted Falls School District would like to extend sincere thanks to Uncle John’s Plants. Just prior to the start of the winter break, this local business donated a beautiful poinsettia plant for each and every member of the Olmsted Falls School District staff – delivering more than 400 pots of the traditional holiday blossoms to staff members at buildings across the District just in time for the height of the holiday season. Staff members were excited and appreciative of this special donation. For more photos, please click here. The PTA service committee at Falls-Lenox sponsored a hats and mittens collection this past December. 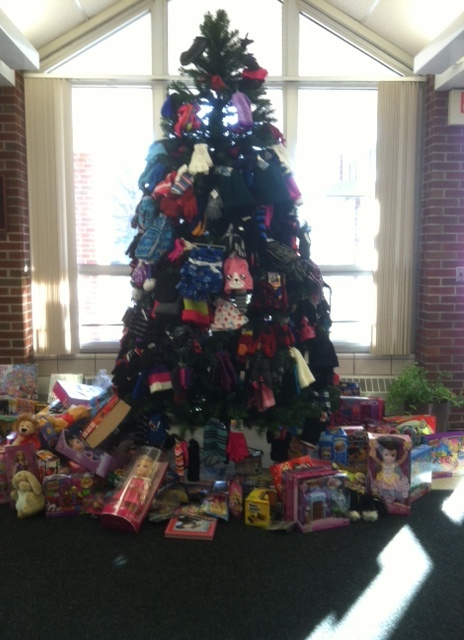 As you can see, the Christmas tree was covered by the generous donations of Falls-Lenox students, families, and staff. These items were given to organizations in Cuyahoga County. In addition, several first grade classrooms at Falls-Lenox took part in a service project that brought in an overwhelmingly large donation of toys and gift items (seen underneath and surrounding the tree). The classrooms that participated included Mrs. DeLuca, Mrs. Rivera, Dr. Kolozvary, Mrs. Burk, Mrs. Vasco, Mrs. Patay and Mrs. Kostraba. These items were donated to the Christians in Action organization who in turn provided holiday assistance for nearly 200 Olmsted Falls and Olmsted Township families this year. The group Christians in Action was extremely grateful for the efforts of our young students and were amazed by the kindness and generosity of Falls-Lenox families! 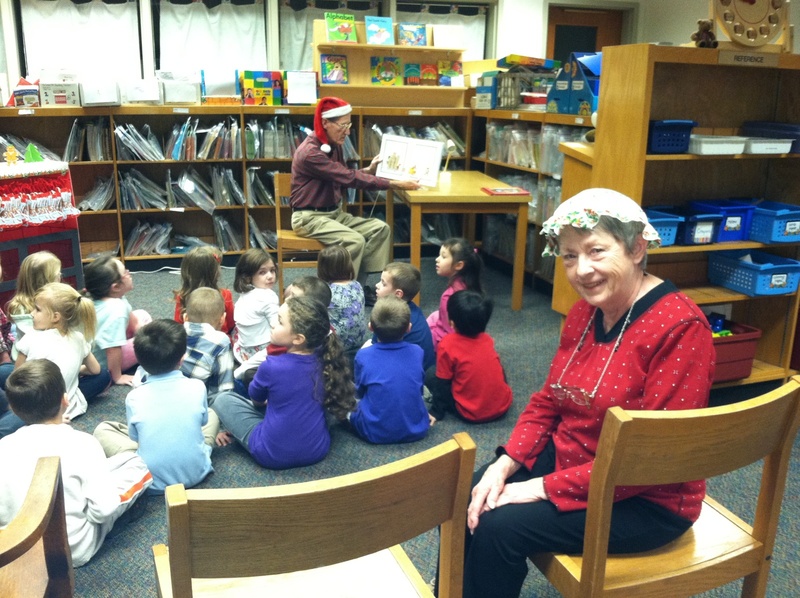 Mr. and Mrs. Kubat visit the Early Childhood Center (ECC) every week to read to the kindergarten students. All of their visits are special! Their visit just prior to the winter break has fast become an annual holiday tradition – they played the roles of Santa and Mrs. Claus, built a chimney, and read “Twas The Night Before Christmas.” The children absolutely loved it! Thank you to the Kubat’s and all our community volunteers for donating your valuable time to enrich the lives of our students! Mr. & Mrs. Kubat, residents of neighboring Columbia Park, were recently honored by the Olmsted Falls Board of Education for their volunteer efforts. 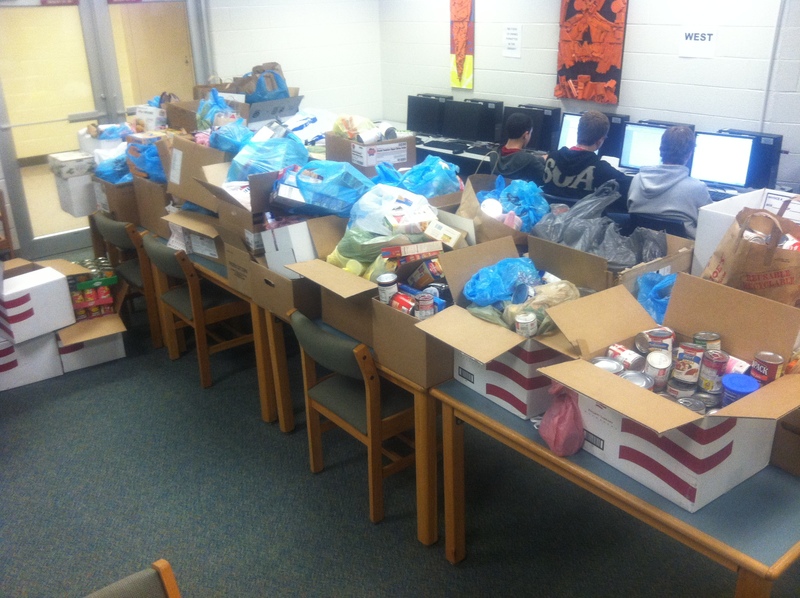 OFHS STUDENT COUNCIL FOOD DRIVE A HUGE SUCCESS! 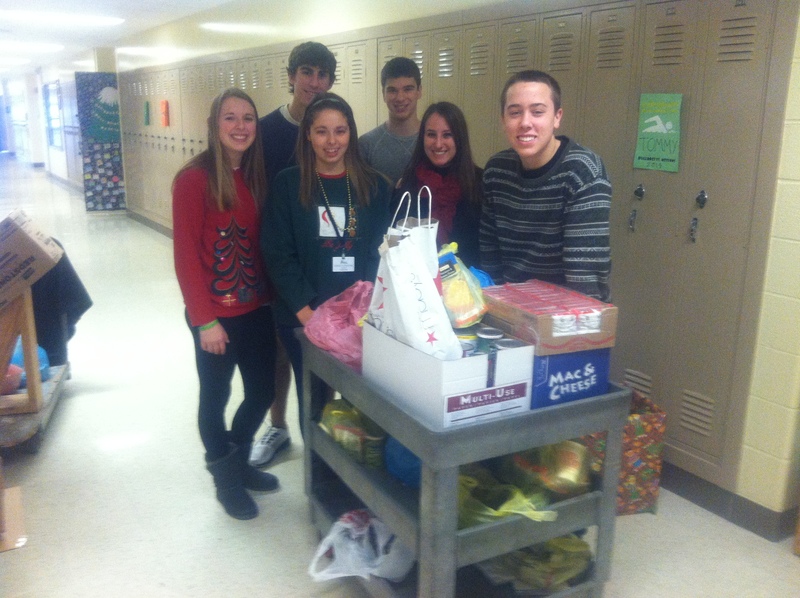 Kudos to the OFHS Student Council on an incredibly successful holiday food drive! The final grand total was 2,948 items, which is the second highest total in the seven years they have been running this event! Special thanks go to Holly Curran for allowing the use of the media center to store the food, and the High School custodial staff for allowing the student collectors to utilize the carts to transport the goods. Pictured to the right and A HUGE pat on the back goes to Erin Hoadley, Caleb Cameron, Morgan Krause, Kevin Clancy, Mariah Halata, and Tyler Martin, and Jake Yeager (not in the photo) for all their hard work gathering the goods and tabulating them. The overall winner of the friendly competition among classrooms was Cheryl Crozier and Ed August’s 2nd period class, contributing 37.8 items/student. Runner-up 2nd period class was Sean Pellerite’s, with an average of 24.5 items/student. Both of these classes will get a breakfast the first couple weeks of January. The generous donations by students and staff across the building greatly benefitted many needy families in the Olmsted Falls/Township community! 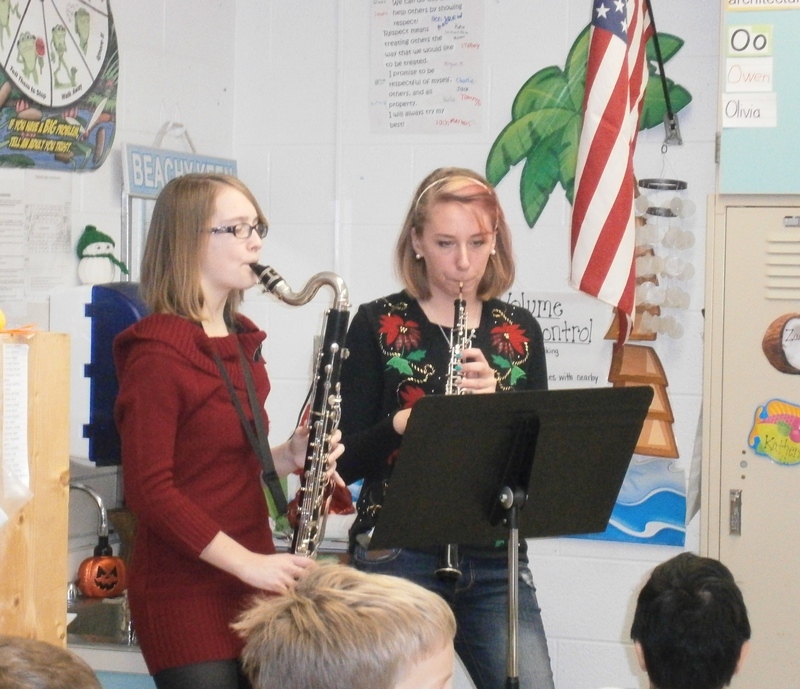 In what has become a wonderful holiday tradition in Olmsted Falls Schools, music students from Olmsted Falls High School make special visits to the other school buildings to share their talents and spread holiday cheer. This special activity is both fun and educational, providing younger students with the opportunity to see both instrumental and vocal music in action. To view more photos, please click here. Students at the Olmsted Falls Early Childhood Center participated in the “Officer Phil” interactive safety assembly the week before winter break. The educational “Officer Phil” program is brought to students through the Olmsted Township Police Department, with the support of local merchants and business people. The theme of this year’s program was “Team Up for a Safer Community.” Students learn about the importance of good safety practices and following rules. In addition to the formal “Officer Phil” presentation, local officers from Olmsted Township Police Department were also in attendance to provide students with an opportunity to meet and get to know their local police officers. The “Officer Phil” program is presented annually at the Early Childhood Center. 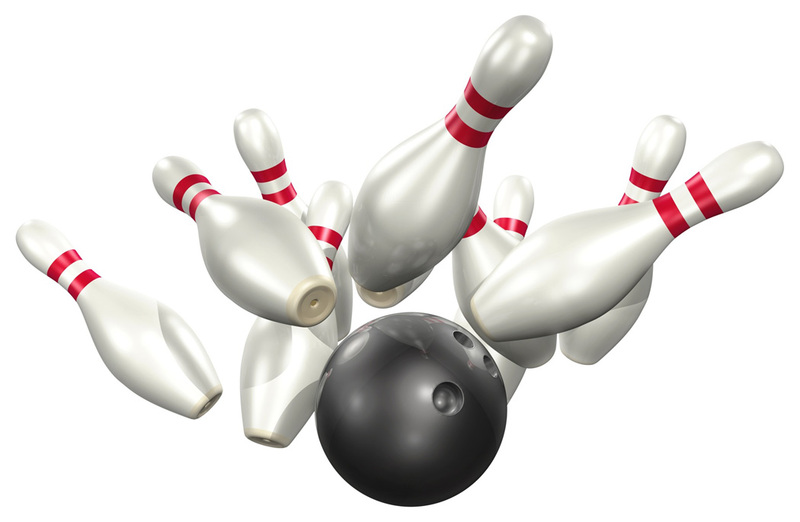 During winter break, the varsity OFHS Bowling team defeated Lutheran West 3786-2754, and set a school and league record with that total. Only one game out of 15 was below 200. Junior Jake Olszewski led the way with a 712 series, followed by senior captain Devin Carver with 707, sophomores Andy Oltmanns and Chris Kuczynski with 663 and 662 respectively, and junior Chad Kuchenmeister with 598. Carver currently leads the Greater Cleveland Interscholastic League with an average of 227. At the same time those records were being set, the J.V. team also had a fantastic day, highlighted by a 300 game from sophomore Nate Paliska. He also had top series with 684. Senior Danny Becker had 637, junior Paul Katz 621, sophomore Kyle Alvino 606, and freshman James Jallos 585. The team easily defeated Brecksville and their match total of 3537 is higher than any team has posted from any other league school, regardless of level (varsity or J.V.). The top five averages in the league belong to Bulldogs, led by Paliska with 199. 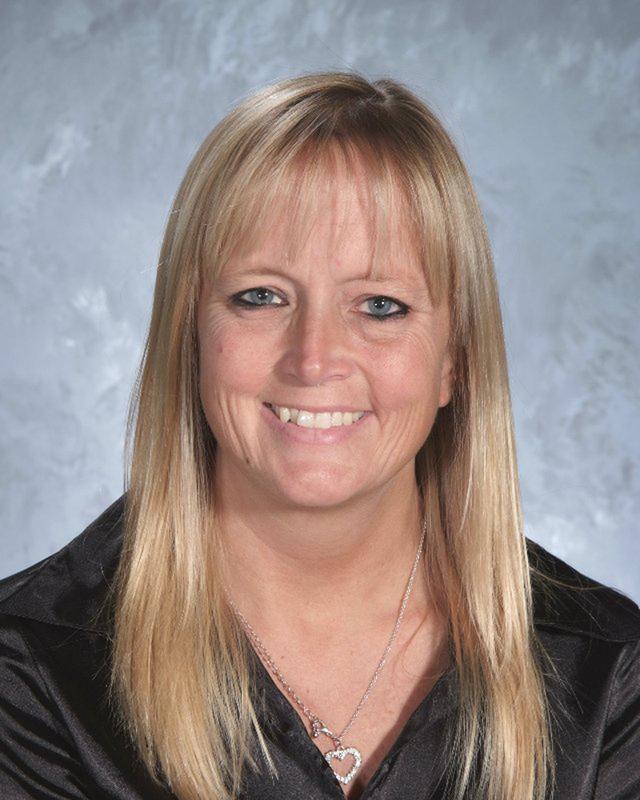 Mrs. Karen Megery is currently in her 23rd year in the Olmsted Falls City School District. She began her career as a learning disabilities tutor, taught 3rd grade for 18 years, and now serves as an Intervention Specialist at Falls-Lenox. Mrs. Megrey is involved in several district committees, and even wrote a grant to create PAL (Parent Activity Library), a learning based lending library housed in the Falls-Lenox media center. Mrs. Megery has always enjoyed school and spent many days of her childhood teaching her stuffed animals as much as she could! 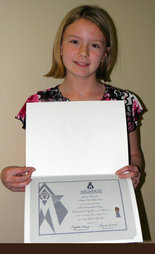 Additionally, working at a camp for children with disabilities confirmed her desire to choose a career in education. In her spare time, Mrs. Megery enjoys spending time with her husband Mike and her four children and three step children, working in the yard, cooking, gardening, attending Bulldog football games, and collecting Wizard of Oz memorabilia. 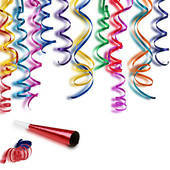 Time: 6:00 p.m. -9:00 p.m.
SILLY STRING NEW YEAR’S PARTY, SATURDAY, JANUARY 12, 7:00 P.M. – 10:00 P.M. AT THE OLMSTED COMMUNITY CENTER, 8170 MAPLEWAY DRIVE – Saturday Activity Nights are back in session for youth ages 8-13. Come be a part of our New Year’s Countdown with silly string, toilet paper war, balloon rockets and more…kids can also enjoy Basketball, Ultimate Football, Dodgeball in our full gym, and play free air hockey, pool, ping pong and fooseball. Get your friends together and get out of the cold to enjoy physical activities indoors on Saturdays this winter. Enjoy the additional parking in 2013 as we say GoodBye to the fall construction and hello to more parking for youth and parents. As of January all 2nd graders are invited to attend! Visit: www.olmstedcc.com or click here for the flyer. 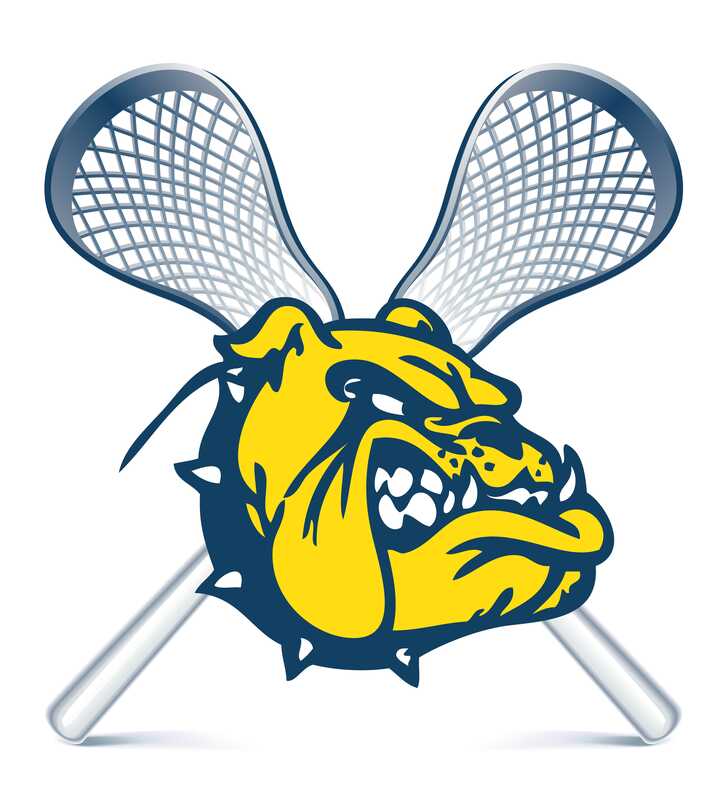 OLMSTED FALLS LACROSSE INFORMATION MEETING THURSDAY, JANUARY 17th, from 7 p.m. – 8 p.m. AT THE HIGH SCHOOL CAFETERIA – The Olmsted Falls Lacrosse Association will be holding its Information and Registration Night at the High School Cafeteria to kick off its 4th season. In the first three seasons the program has grown from 20 boys to 160 boys and girls learning and participating in the fastest growing sport in the United States. New this year are high school boys and girls teams, and a Middle School girls team! We are again offering a 10 week developmental program for 1st and 2nd grade boys and girls. Join us for one hour and learn about the “Fastest Game On Two Feet” — Find out more online at olmstedfallslax.com. To download the informational flyer and registration form, click here. RELAY FOR LIFE KICK-OFF EVENT – FRIDAY, JANUARY 18TH, 7 P.M. AT THE OFHS VARSITY BASKETBALL GAME — SAVE THE DATE!! The Olmsted Falls Relay For Life is having a Kick-Off Event on Friday, January 18th at the Olmsted Falls Bulldogs Varsity Basketball game! The game starts at 7:00 and will be against Avon Lake. At the game, we will be advertising Relay, handing out “Save The Dates” and selling cupcakes and luminaria. The Olmsted Falls Athletic Boosters have also generously allowed us to take over the 50/50 for the evening! Please consider coming out, supporting Relay, and wearing your PURPLE! It will be a great night and we hope to see you there!